For anyone involved in, or just interested in, mobile learning, the release of a new Apple iPhone is quite an interesting event. I started with the original iPhone (which was one of the first in New Zealand. I remember the fun days as we had to customise the SIM (read cut part of it off!) and use an in-between chip from Korea to fake a US phone ID (shhhh). After that I went to the iPhone 3, and then 3G, and have been stuck on the iPhone 4 for a few years now. But it’s probably more cost-effective to update every two or three versions, so I’ve waited until now and will go for the iPhone 6 – which should be announced on 9th September – just a few weeks away now. These days we have many smart phones and small tablets which make mobile learning a more practicable experience, but we shouldn’t forget that until the launch of that first iPhone with it’s touch screen and amazing functionality, the idea of mobile learning was a non-starter for many. Love Apple or not, we can’t ignore the fact that podcasts, mobile learning on phones, and probably the rise of Twitter, can all be attributed to some extent directly to them. 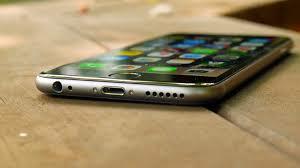 I am looking forward to my new iPhone 6, and seeing if there are any new innovations which will push the whole market along again?